Scotts Heating and Plumbing Services - Central Heating Engineer based in Scarning, Norfolk. SCOTTS is a family run heating and plumbing company with a combined experience within the industry of 34 years. 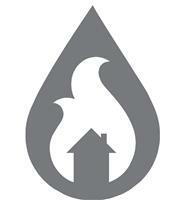 We specialise in heating and plumbing from full systems (hot, cold and heating) new builds and renovations to heating system upgrades, boiler changes or servicing to bathroom installs. We offer the full package with installations/work from start to finish if it suits your needs, tiling, electrical work, plastering and decorating are all available so you can keep the project easy to manage. An Experienced packed group with Quality on our mind. "As a fully-certified professional, I’m ready to tackle anything from the most complex and large scale construction projects to the smallest of repair jobs. I’m fuelled by my commitment to excellence and go the extra mile to make sure my clients are completely satisfied with my work".